I was born in Minnesota, where I completed my B.Sc. in Plant Biology at the University of Minnesota. Following completion of my undergraduate work, I worked as a wildlife research technician and compliance consultant on a wide range of projects in Arizona, Nevada, Utah, and California. I recently finished my Master’s at OSU in the Epps Lab and continue to contribute to the lab as a Faculty Research Assistant. My graduate work focused on the demography of small mammals in a late-successional forest. Specifically, estimating the abundance, habitat associations, and vital rates of northern flying squirrels (Glaucomys sabrinus), Townsend’s chipmunk (Tamias townsendii), western red-backed voles (Myodes californicus) and deer mice (Peromyscus maniculatus), using a 6-year mark-recapture data set. 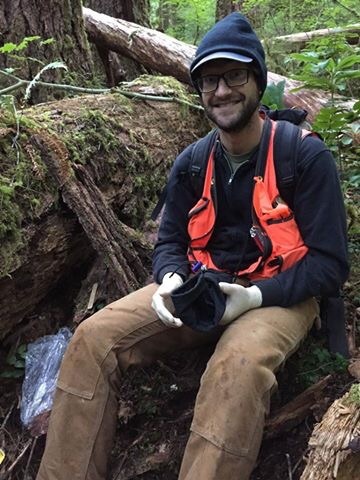 As an FRA, I will continue working on small mammal demographic analyses and provide additional research support. I am broadly interested in applying quantitative methods to landscape and community ecology, and improving communication between scientists and the public.